Want the Somerville lifestyle without the price? This great Magoun Square condo — just over the line in Medford — is for you! 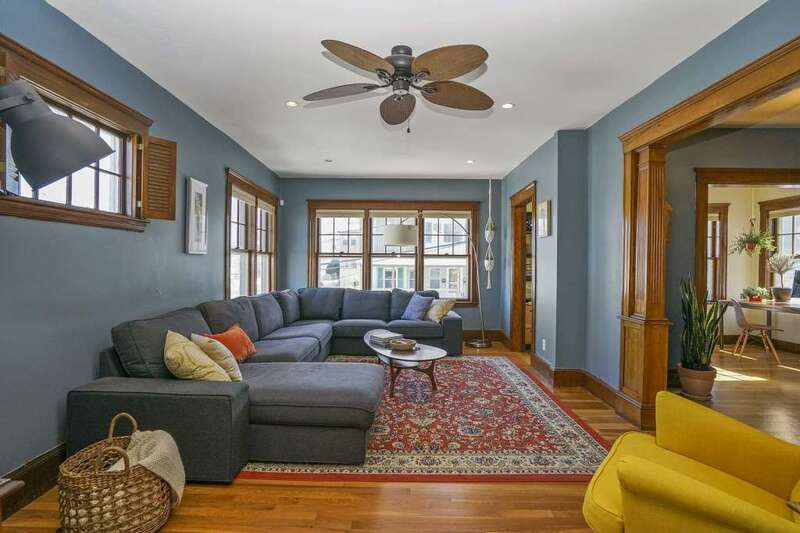 This charming Magoun Square duplex offers incredible value, with tons of space, 2-car parking, and the feel of a single family! This great home features a private entrance, beautiful hardwood floors, lots of windows with long views, original woodwork and a smart, flowing layout. On the first level you’ll find a foyer, living room, sun room (currently serving as an amazing office for two! ), dining room, spacious kitchen, two bedrooms and a full bath, plus a great covered porch perfect for catching the sunset. The second level is a secluded master suite with bedroom, full bath, and a bonus room that makes a great yoga space or reading nook. There is parking for two cars — one a garage space — and plenty of basement storage. Pet friendly association. 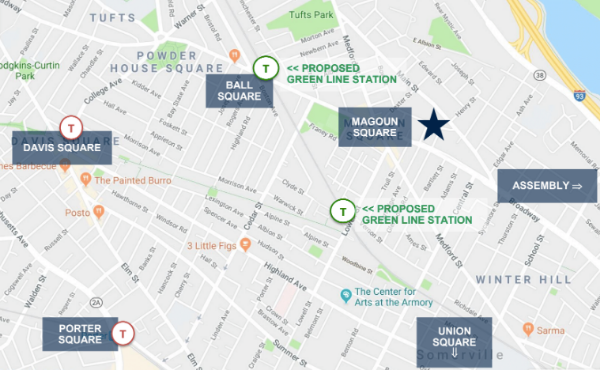 Conveniently located just across the Somerville line, with many nearby restaurants, bars and cafes, easy access to 93 and just a half mile from the proposed Lowell Street Green Line station! CVS – every neighborhood needs a local drug store! The Community Path – walk, ride or skate into Davis or all the way out to Lexington! Somerville Theater – Davis Square’s historic theater for catching the latest flicks – with $7 matinees! Previous Live in the heart of Inman Square!